Audi models prepare to be shipped at the port of Barcelona in Barcelona, Spain, on March 15, 2018. WASHINGTON -- Workers from international automakers on Thursday will drive vehicles they make at U.S. plants to Capitol Hill to highlight the damage the Trump administration's proposed tariffs on light vehicles and auto parts would inflict on their livelihoods. Participating in the "Drive-In," which is being organized by the Association of Global Automakers, will be lawmakers from major auto-producing states such as Alabama, Georgia and Indiana. The caravan will then drive to the Department of Commerce, where a hearing is scheduled to gather public comments about whether tariffs of up to 25 per cent should be imposed for national security reasons. The event is part of the auto industry's full-court press to inform Congress about how the Trump administration is conducting the investigation and press lawmakers about whether the White House is abusing its trade authority. Seven trade associations representing manufacturers, suppliers, dealers and repair shops are urging President Donald Trump in an open letter not to impose higher tariffs on auto imports. "Raising tariffs on autos and auto parts would be a massive tax on consumers who buy or service their vehicles -- whether imported or domestically produced. These higher costs will inevitably lead to declining sales and the loss of American jobs, as well as an increase in vehicle service and repair costs that may result in consumers delaying critical vehicle maintenance," the auto groups said. The letter will appear as full-page print ads in newspapers such as The Wall Street Journal and on media websites beginning Wednesday. "I've been around this industry over 20 years, and I have never seen the industry, broadly defined, as unified [on any issue] as it is against the idea of high auto and auto parts tariffs," Global Automakers President John Bozzella said at a briefing hosted at Toyota North America's government affairs office here. "You cannot find a company that has asked for this protection, you cannot find a group of employees that has requested protection." The fact that Toyota Motor Corp., which is often reluctant to speak on the record about public policy, organized the discussion underscores how concerned the Japanese automaker is about the tariff threat. The Trump administration argues tariffs will force companies to concentrate more output in the U.S., but experts said duties will lead to higher new-vehicle prices, fewer sales, cutbacks in r&d and other investments, and lost employment. Auto tariffs would temporarily result in up to 1.2 million lost jobs and raise prices on automobiles between 9 and 21 per cent depending on the model and market segment, said Adam Posen, president of the Peterson Institute for International Economics. Higher prices will offset almost a quarter of household income gained through this year's tax cut package, based on the five-year depreciation cycle of the average car and light truck, he added. Tariffs would add about $1,800 (all figures USD) to the price of a Camry sedan, which is built in Georgetown, Ky., with 30 per cent foreign parts, said Brian Krinock, Toyota's senior vice president for vehicle manufacturing. The price of a Toyota Sienna minivan would jump $3,000 and a Toyota Tundra pickup would cost $2,800 more. Automakers can only make affordable vehicles if they develop global platforms and ship them around the world where they can be configured locally to meet consumers' style preferences and different regulatory standards, Krinock said. Posen said the price of all light vehicles will increase, regardless of the amount of foreign content or exposure to tariffs, because automakers will "have no reason to underprice their competitors." Critics say there is no justification for tariffs or other measures to protect a thriving U.S. auto industry from international competition. They worry the Commerce Department is rushing to complete its investigation and present recommendations to Trump ahead of the midterm elections so he can fulfill campaign promises to get tough on trade. 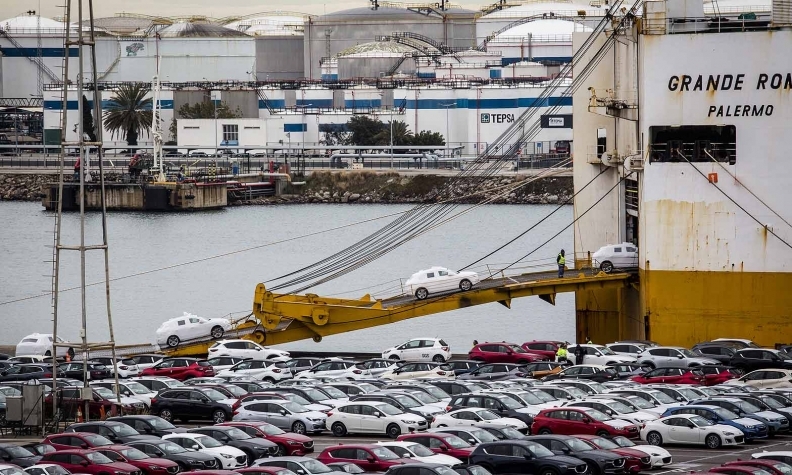 In addition to filing comments opposed to tariffs, automakers have received a broad questionnaire that seeks confidential business information related to finances, operations and supply chain to help develop a rationale that automotive imports threaten national security. "What that suggests to me is the Commerce Department didn't have a case when they announced the investigation, and it hasn't found a case in the significant number of comments overwhelmingly opposed to tariffs," Bozzella said. "So, my sense is they are still looking for a case." Posner said the Trump administration has already predetermined the outcome of the investigation. "They have to go through the show of allowing public comment, but the fact they are cutting the hearing down to one day indicates that no serious, responsible person can give them a public comment defending the absurdity of calling auto tariffs a national security issue," he said. "This is a sham and the kind of thing that autocratic governments do with their economic policy where they don't allow evidence-based and rules-based processes to work."